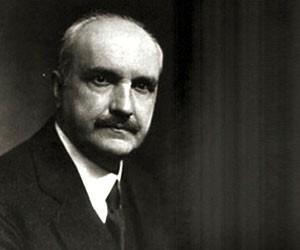 The philosopher George Santayana is probably best known today for his observation that “Those who cannot learn from history are doomed to repeat it”. It’s a powerful and thought-provoking statement, but also one which also goes frequently unheeded. Early on in his presidency, George W. Bush, for example, was advised to stop calling for “a crusade” against terrorism on the basis that given the loaded nature of the word, it might just make a bad situation a whole lot worse. In Afghanistan, it has recently been suggested that, with the hindsight of history, especially the rather disastrous military campaigns of 1839, 1878 and 1919, that British troops should cease telling the locals that “we are British not American” as that won't necessarily win any friends. In Britain, there is a tendency to treat history as a series of interconnected and sometimes occasionally interesting stories, most of which ultimately have little direct bearing on our lives today. In other parts of the world the distinction between past and present is more blurred, historical events being continually discussed, consulted, examined and nurtured as if they happened yesterday. Not everyone, it seems, views the past as being distant, alien or irrelevant. 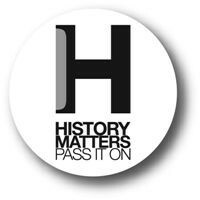 This is why schemes such as the, now sadly defunct, “History matters – pass it on” campaign, launched in the UK during 2006, represented an intriguing, exciting and innovative development. The campaign was designed to raise “awareness of the importance of history” encouraging public involvement and building “interest and support in Heritage”. The organisers and founding members, including diverse individuals such as Stephen Fry, Bill Bryson, David Starkey and Tony Benn, urged people to show their support and share their views online. Unfortunately, interest from the national media was ultimately limited, the most significant coverage going to the first results of a MORI poll that indicated that 73% of the British population was interested in history, compared to only 48% in football and a mere 25% in celebrities. This, of course, gave rise to the headline “More People care about Henry VIII than David Beckham”, which I suppose is progress of sorts. There can certainly be no doubt that public interest in the past is growing year on year. What worries me, however, is the collective amnesia that surrounds key historical events (such as the slave trade) and the excessive glorification of others (such as the Second World War). Turn to YESTERDAY (formerly UK TV History), the free-screen digital channel, or HISTORY (formerly the History Channel) and you can happily gorge on a diet of seemingly relentless World War II documentaries like Battleplan, Gladiators of World War 2, Secrets of World War Two, Killing Hitler, Churchill’s Bodyguard, Stalin’s moustache, Himmler’s underpants (ok, I made the last two up but you get my point). World War II represents a critical point in human history which should never be forgotten (as indeed does World War I), but do we need continuous in-depth (and largely repetitive) coverage? 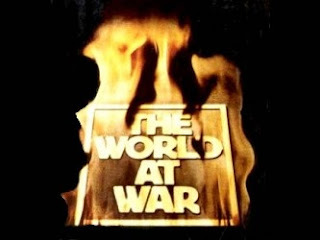 The World at War, a series narrated by Sir Lawrence Olivier and first broadcast in 1974, was the definitive documentary on the war, its causes and aftermath. OK so it is now a little dated and some of the key ‘facts’ have been shown, thanks to the release of previously secret government documents, to be different to the ‘official version’, but it is factual, authoritative and thoroughly chilling in detail. It is unflinching and utterly unremitting in the message that war is hell. 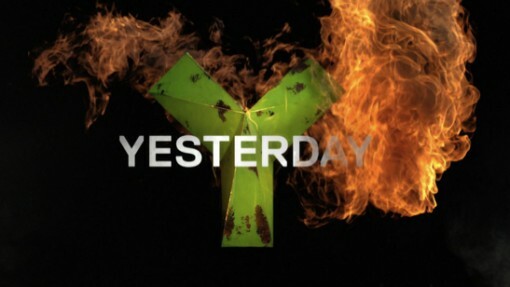 It has never been bettered. 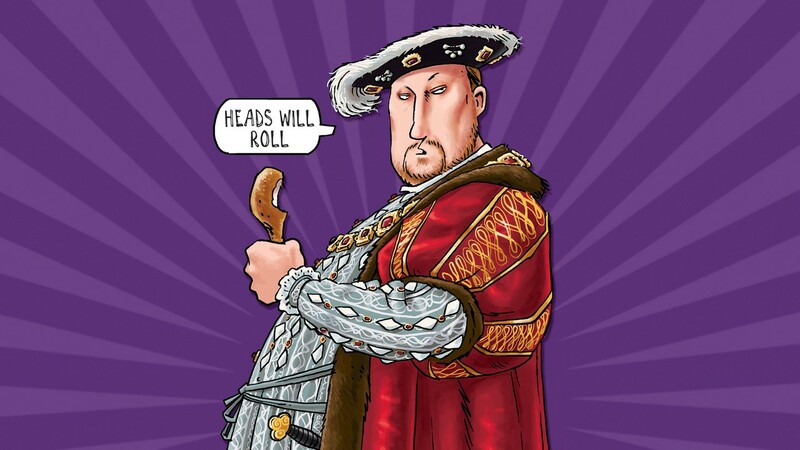 On the main channels, TV documentaries and period dramas seem currently to revolve endlessly around the English monarchy, especially the Tudor dynasty, with the callous,, bloated, opportunistic bully Henry VIII and the self-seeking, PR-mad Elizabeth I taking centre stage. History matters, yes, but not just the official, air-brushed “greatest-hits” history of Britain’s leaders. Better to see more of the neglected alternative perspectives, counter-cultural viewpoints and the stories of the unknown, unwashed and thoroughly down-trodden. Better perhaps to trawl back further into the past as well, for things were happening in Britain way before Henry VIII trashed his first monastery. When the History Matters campaign was launched over five years ago, few at the time commented on the relevance of a report published by the Culture Media and Sport Committee, entitled Protecting and Preserving our Heritage. This squarely criticised the UK government for putting Britain’s history at risk. The report concluded that “if the Government really cares about the historic environment, it must give English Heritage the money and the political support to enable it to play a more active part in aiding repair”. The substantial decline, in real terms, of funding to English Heritage as identified in the report was nothing short of scandalous, and yet the scandal remain largely unreported, despite it exposing the former Labour government’s “heritage protection regime”, an intended super register of all protected monuments, buildings, structures, battlefields, parks and gardens, as little more than a calculated (some might add cynical) public relations exercise. National bodies like English Heritage, Cadw and Historic Scotland need far more significant financial, political and public support if the irreplaceable archaeological and historical resource of England and Wales is to survive into the 21st century. Given the record, to date, of the Conservative Liberal Democrat (ConDem) coalition and their misconceived ‘take a hatchet to the arts’ spending review, this sadly appears unlikely to happen anytime soon. History STILL Matters…..pass it on.